Few months ago I came across a self striping white/green thick cotton yarn. I bought few skeins, since they were on sale. My idea was to make cotton baby hats. I crocheted few of them in a similar fashion. Each hat is for about 3+ months old baby and each of them was crocheted a tiny bit differently. And as I was crocheting I wrote up the pattern to share. What is great about these hats is that they are all from cotton, yet they are airy - a great hat for summer days. It will protect baby's head from sun rays and winds at the same time, yet baby should not feel too hot wearing it. 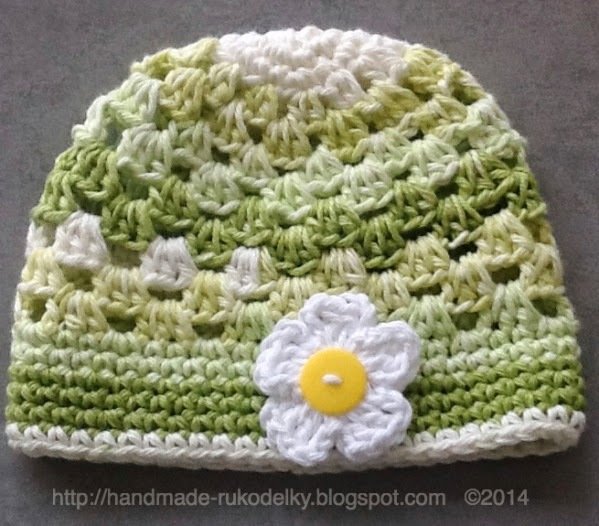 In order to crochet these hats, you need to know these stitches - a chain, a single crochet, a half double crochet and a double crochet. Each hat needs just one skein of cotton yarn. 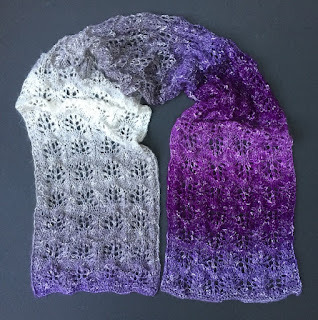 This pattern is for your personal use only, and yes you may share the pattern with avid crocheters. 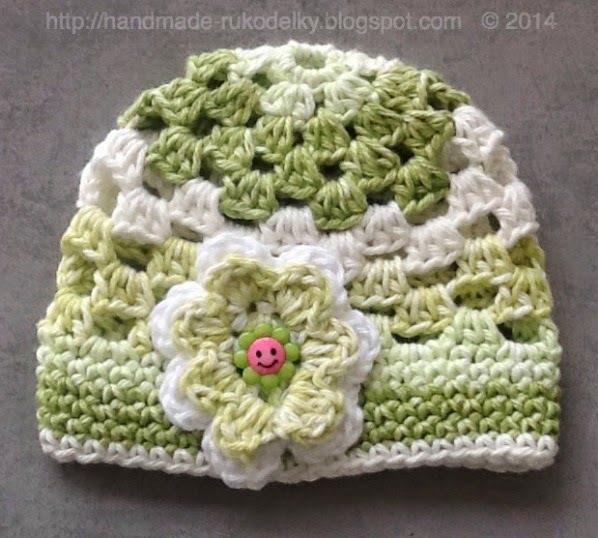 You may sell the hats you make using this pattern. Enjoy and happy crocheting! And if you are ever on Facebook come say hello HERE. 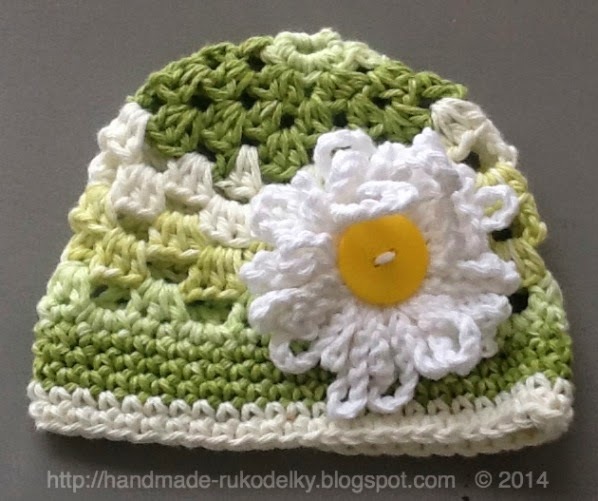 Place button on top of the flower and sew both onto the hat. Weave in all ends. 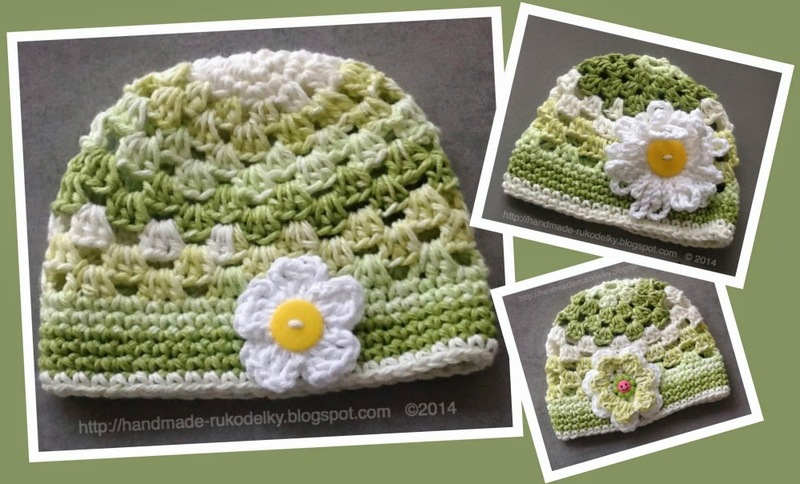 Note: this hat is crocheted same as the hat #2, but the flower is different.